San Diego is the 8th largest city in the United States so there are a myriad of things to do here in America’s Finest City. 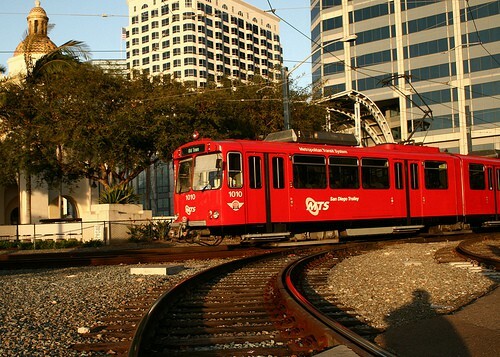 Why not explore these special areas of San Diego using its public transportation? San Diego has extensive bus and trolley routes that will take you from East County in San Diego to the U.S./Mexico border. 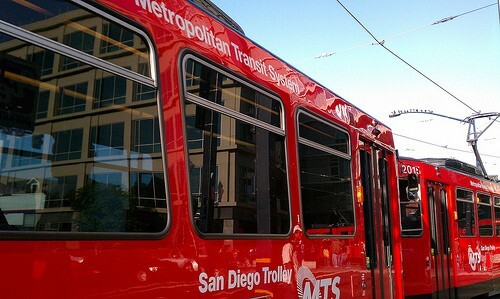 It’s just so convenient to navigate around town using the San Diego bus and trolley schedule. When you’re staying with us at Foxwood Apartments, you can easily take the buses and trolleys that connect with the 933 bus on Delcardo Avenue. You’ll be living right across the street from quick and convenient public transportation! Does it get any better than that? From Foxwood Corporate Apartments, you can reach many different parts of the city with public transportation. Mission Valley, downtown San Diego, Old Town, Sea World, Little Italy, and the beaches are all accessible via San Diego buses and trolleys. The best part about taking San Diego’s public transport is that it’s fairly inexpensive. Daily passes are just $5 a day for unlimited rides on the public transportation; you can even purchase a discounted monthly pass at any trolley station or Von’s Supermarket. With the convenience of a bus stop just across the street from Foxwood Corporate Apartments and affordable prices for public transportation passes, it’s a great idea to explore San Diego by bus or trolley. You can find a San Diego bus and trolley schedule along with maps and directions at Foxwood Corporate Apartments online.